Rely on Medicine Basket to fulfill your committments. Our team handles site to site delivery of prescriptions within an agreed upon timeframe. We strive to offer a service that is state of the art, and one in which accoutability is at its highest. Call us when you need our drivers to step in. We'll take care of the rest. Needing a delivery service for your pharmacy? 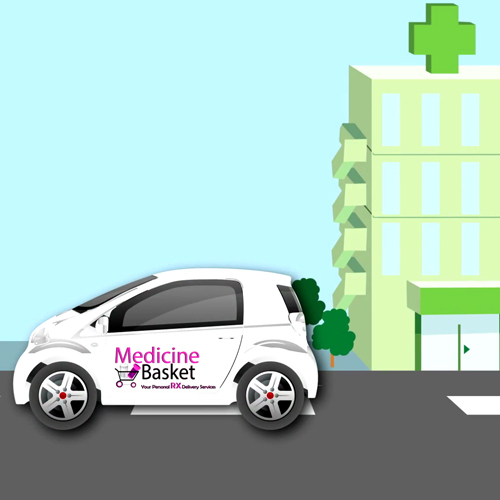 Medicine Basket provide deliveries for local retail pharmacies. We pickup at the requested times of our pharmacy accounts and deliver to their customers. Medicine Basket offer special deliveries for our pharmacy accounts. Pharmacies are frequently faced to meet the needs of an evolving change in the healthcare market. As a result, special deliveries are needed outside the negotiated agreement. As our commitment to satisfy our customers and partner in meeting the needs of their customers, we offer special deliveries based on request. Need delivery to Long-term-care accounts/Hospitals? Medicine Basket has been a current delivery provider to hospitals. We deliver to patients who are being discharge. Medicine Basket provides urgent deliveries to long-term care facilities such as nursing homes or rehab facilities. Medicine Basket is a delivery company that offers fast and convenient service to anyone who has a prescription at the pharmacy. Medicine Basket picks up the medication from the pharmacy and delivers it directly to the customers location. Medicine Basket provide same day delivery. 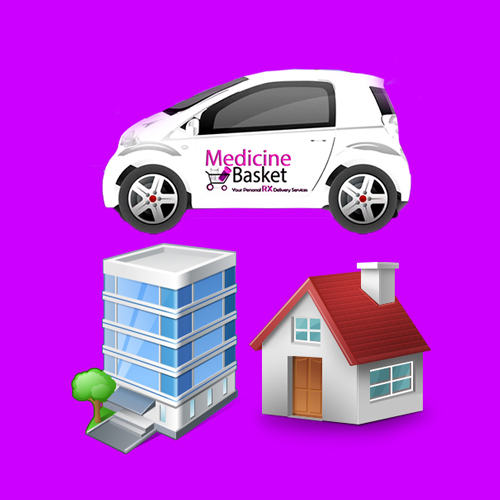 Now with Medicine Basket, you can request your prescription medication to be delivered to wherever you are located. At Medicine Basket, we believe our customers are priority and our pickup and delivery of each customer's medication is done promptly and with care. We have different types of customers and understand the concerns and needs of each. Our customers consist of anyone who has prescriptions at the pharmacy, nursing homes, rehab centers, long-term care facilities, and outpatient areas. We understand our customers' satisfaction revolves around three key concerns: time, convenience, and cost. With these three drivers, our objective is to provide total satisfaction to each customer on each delivery. Medicine Basket has three core goals: (1) to deliver the medication in a convenient and timely manner; (2) to provide friendly and courteous service from the time of the request to the completion of the delivery; (3) and to keep the patients' medical and health information secure. Questions? Drop us a line @ 501.747.1525 or use our fancy contact form below.